This Southern Belle Costume For Girls is straight out of "Gone With The Wind!" It's white with green trim and a matching attached green silky waist sash that ties in the back. 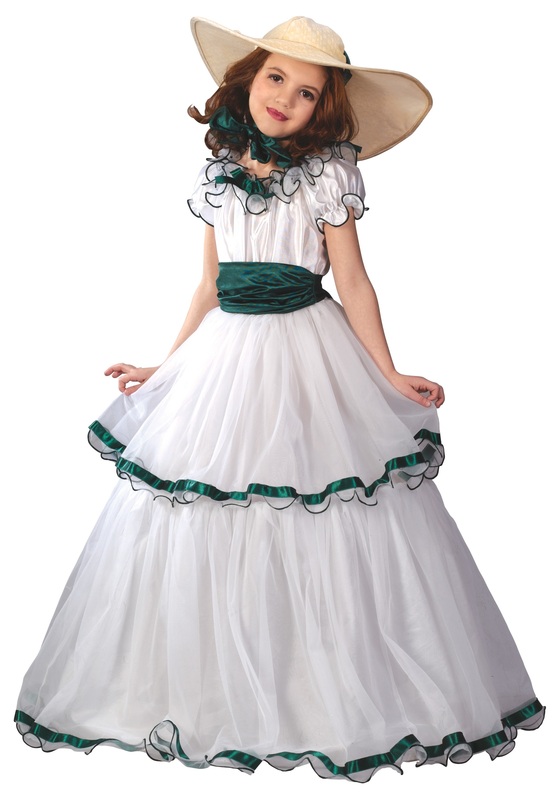 The skirt of the dress has two tiers of white polyester taffeta overlaid with white tulle trimmed with green ribbon, and a built-in hoopskirt for fullness. The ruffled collar of the dress is decorated with small green ribbon bows. 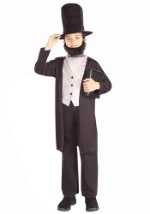 This costume comes complete with a picture frame wide brimmed tan hat which ties under the chin with a green ribbon. 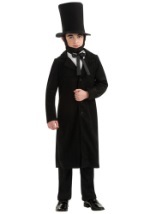 Perfect for Halloween or for a school history project!